Any tea lover will tell you that loose tea leaves will make the best green tea. But Kirkland’s Signature Ito En Matcha Blend in bags may be the best green tea you’ve ever tasted. That’s because it’s a blend of matcha with Japanese Sencha green tea, where some of the best green teas in the world come from. What makes this stand out from the many other varieties on the market are the many health benefits that come from a ‘true’ herbal tea. The high levels of antioxidants found in this tea help with weight loss, but that is not all. Herbals teas such as this help build your immune system, prevent disease, help with cellular repair, cleanse the body by eliminating nasties and are even anti-aging. Depending on the type of herbal tea you drink, you can experience a number of health benefits ranging from reducing blood pressure and cholesterol levels to appetite suppression, body cleansing by removing toxins from your system through urination and perspiration, an increase in metabolism, immunity improvements, and even weight loss. When Kirkland put this package of green tea together, they sourced the best blend of Sencha and Matcha they could find, hence why it is one of the best green teas you can find as anyone who has been exposed to Ito En would know. They say the blend is better tasting and “noticeably sweeter than other brands” and to make it even easier to enjoy they used an innovative tea bag design. Kirkland uses nylon filter bags which produce maximum water flow during the brewing process and is why you only need the bag to be in the water for thirty to sixty seconds and not a minute longer to experience its wonderful flavor. In addition, the tea bag tag has a pre-cut slit in it which allows it to hook onto the edge of the cup you are using. For more information on Kirkland Ito En Matcha Blend Japanese Green Tea, click here. At the time of writing, this Japanese Green Tea had a 4.6 out of 5-star rating, so is very popular receiving favorable comments. Drinkers who prefer tea leaves enjoy the fresh taste and look of this tea. It has been described by users as being a “very green” in color as opposed to a yellowish-green. While the flavor is enhanced with matcha, some true tea lovers point out that the name of this product is a bit confusing to those who really know tea. If you have found the previous green tea you have tried tastes a little bitter, you will not experience that with this product. In fact, the sweeter taste that comes from the matcha powder combined in the herbal blend makes this a very tasty drink. Kirkland put together a great blend of herbal tea leaves in this product. They added matcha powder to enhance the flavor and put the product in nylon filter bags which result in better water flow. This, in turn, produces a better tasting tea when brewed. Add to this the fact that the tag on the tea bags has a slit cut in it to allow it to hook on the edge of your cup and you have a great product that is easy to brew. One of the best points of this Japanese Green Tea is the great taste, which is described by the manufacturer as being sweeter than most brands and is one of the reasons why you should consider giving this herbal tea a try. 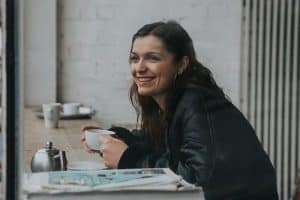 Besides herbal teas contain antioxidants that assist our bodies in fighting off illnesses, the fact that this also tastes great makes this one of the best green teas available. 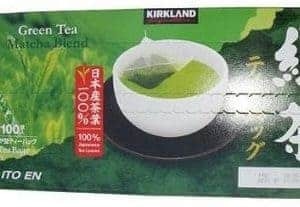 Make sure that you check out Kirkland Ito En Matcha Blend Japanese Green Tea… click here for more information.